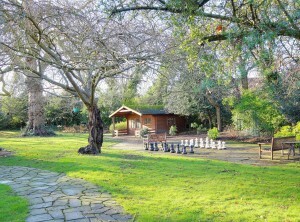 St David’s Home offers a wide range of therapies to support the care of our residents. Our main therapies are provided by our full-time occupational therapist and physiotherapists. Our occupational therapist is an invaluable member of our care team. At St David’s, our 24 hour support is an opportunity for our residents to build a daily routine and regain confidence in their ability to continue with day-to-day activities and interests. Our occupational therapist will not only support them in their health, well-being and activity levels at the Home but also as they prepare to return to their own homes after a period of rehabilitation. Assessments can be conducted in order to establish their ability to cope and a home visit can also take place if deemed necessary. 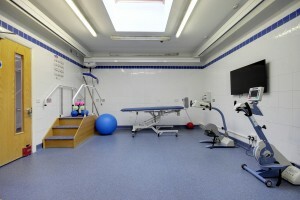 The Home employs full-time physiotherapists and has a fully-equipped physiotherapy room. We work alongside any other professionals involved in our residents’ care to offer a united approach to their health and welfare. Working in isolation will limit the results we can accomplish and we are passionate about attaining the best possible outcome and levels of comfort for our residents. The physiotherapists at St David’s Home play an intrinsic role in the rehabilitative and healing process of our residents, particularly those who require intensive care following road traffic accidents, strokes, brain and spinal injury.